Quilting Adventures: The beauty of it all......! The beauty of it all......! It is hard to believe that fall is quickly approaching! The leaves on some of the trees have already started to turn their magnificent colours. Here last week we had the most amazing sight! The picture does not do it justice! The colours were so vibrant! Speaking of nature, our vegetable garden has been quite productive this year. Last year, the tomato blite claimed most of our potential harvest. Thankfully this year it has not been the case. There is nothing like a fresh home grown tomato! Beats store bought anytime! 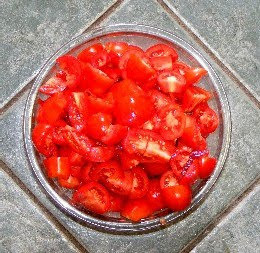 Hubby has been busy drying, as our supply of garden fresh sun dried tomatos has been exhausted. On the quilting front, you will be astonished at the amount of quilting I have been doing! It's always a great feeling when you have completed a project! Machine quilted and all! Yes, I've been enjoying play dates with Penelope! The pattern is called Park Avenue by 3 Sisters. It's a free pattern on the Moda site under the Fun Stuff heading. You can access the pattern here. It will make a nice sample for the shoppe! Thanks for stopping by! Keep well! What a beautiful rainbow...love your quilt...that is a wonderful design to showcase that fabric. 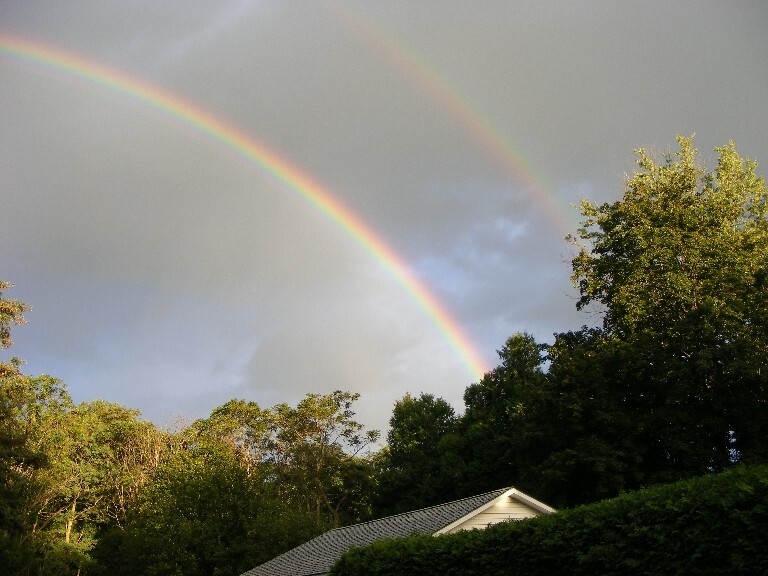 Gorgeous rainbow! Being an adult sometimes is not all it is cracked up tobe! Great quilt...I agree that no borders seems so quick! 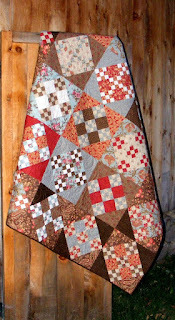 The quilt is beautiful, I'll have to check out the link- thanks for sharing! You're so funny -- adulthood IS overrated, isn't it? Beautiful quilt -- looks like you've been good and busy! Oh I love that Park Avenue quilt! I may have to make that! Love the rainbow and your quilt finish! Yes, fall is in the air everywhere, so we have to enjoy the last remnants of summer while we can. Your tomatoes look yummy! Love your finish - what a great design! So lucky of you to have fall. One day... Love the quilt! Cute, cute. When was the last time you thanked the moon?